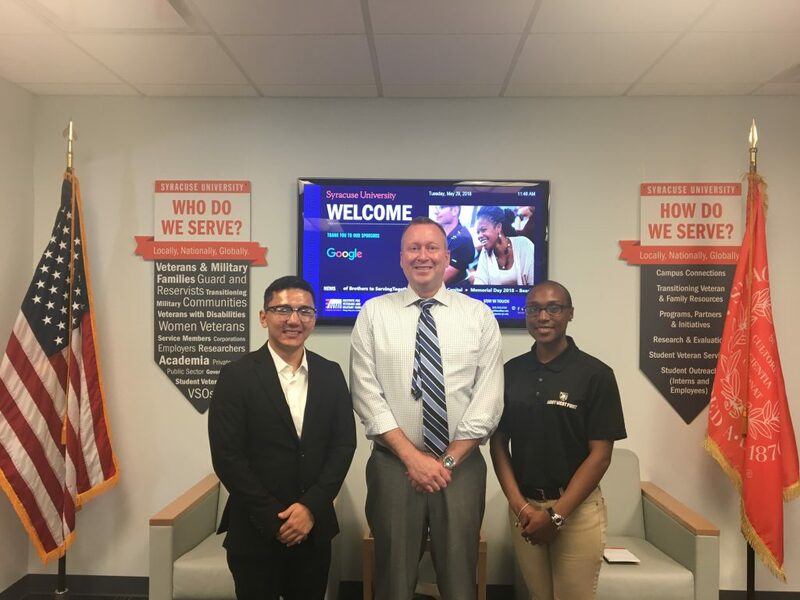 Last week, Cadet Angela White of the United States Military Academy at West Point and Cadet Tenzin Khangsar of the United States Air Force Academy completed a monthlong summer internship program with the Institute for Veterans and Military Families (IVMF). White, of Chicago, is a rising junior at the Military Academy at West Point. During her internship with IVMF she worked with the institute’s entrepreneurship team to assist in planning various programs and events. White even traveled with the team to the Veteran Women Igniting the Spirit of Entrepreneurship (V-WISE) conference in Pittsburgh in early June, where she supported the team in capturing video interviews of speakers and attendees. The first in her family to pursue a career in the military, White aspires to join the military police force. Khangsar, of Queens, New York, is a rising senior at the United States Air Force Academy in Colorado Springs, where he is training to be a pilot. Khangsar’s work with IVMF focused on analyzing data and transcribing audio from the institute’s and School of Education’s joint pilot study. He also worked with the research team on a simulation model designed to support veterans as they transition from military service to collegiate study. Khangsar is also the first in his family to join the military. 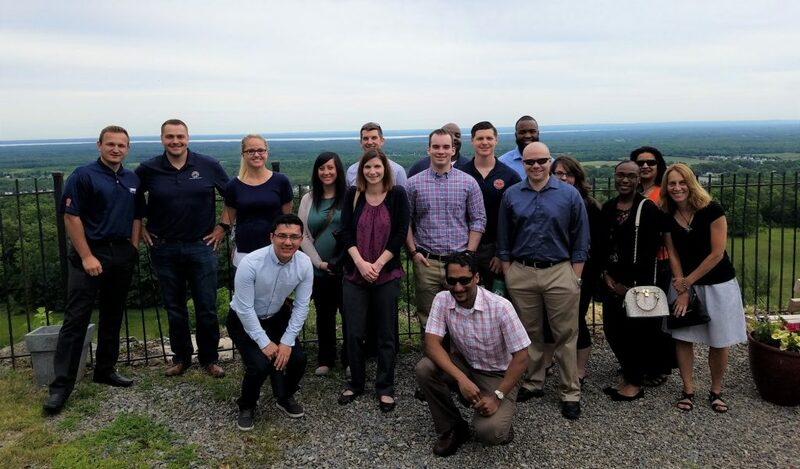 Both Khangsar and White attended several IVMF events during their month at Syracuse, including a graduation ceremony for candidates of IVMF’s Onward to Opportunity career preparation program at Fort Drum. The cadets also visited Clear Path for Veterans in Chittenango, New York, upstate New York’s veteran resource center, to learn more about the resources and programs available to veterans and their families in the area. White is now completing a second assignment, while Khangsar is visiting family in New York City before returning to the Air Force Academy for his final year of study. The cadets visited Clear Path for Veterans in Chittenango, New York, upstate New York’s veteran resource center. Syracuse University is a private, international research university with distinctive academics, diversely unique offerings and an undeniable spirit. Located in the geographic heart of New York State, with a global footprint, and nearly 150 years of history, Syracuse University offers a quintessential college experience. The scope of Syracuse University is a testament to its strengths: a pioneering history dating back to 1870; a choice of more than 200 majors and 100 minors offered through 13 schools and colleges; nearly 15,000 undergraduates and 5,000 graduate students; more than a quarter of a million alumni in 160 countries; and a student population from all 50 U.S. states and 123 countries. For more information, please visit www.syracuse.edu.